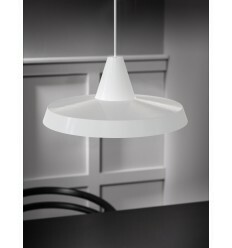 Kitchen Pendant Lights - Hegarty Lighting Ltd. Kitchen Pendant Lights There are 154 products. This 3 light fitting looks beautiful on any ceiling, with simplicity and style inspired by the era of the classic American Diner. 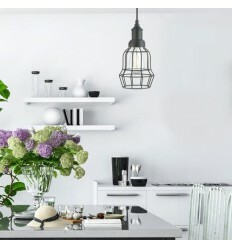 The acid ribbed glass diffuser provides clean lighting effects, which are perfect for your kitchen area, or any other room, and the matching metal trim completes the look. This 3 light fitting looks beautiful on any ceiling, with simplicity and style inspired by the era of the classic American diner. The clear ribbed glass diffuser provides clean lighting effects, which are perfect for your kitchen area or any other room. 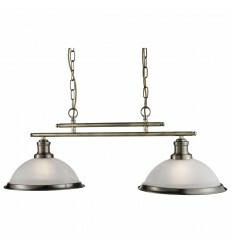 The matching metal trim finished in antique brass completes the look. This 5 light fitting looks beautiful on any ceiling, with simplicity and style inspired by the era of the classic American Diner. The acid ribbed glass diffuser provides clean lighting effects, which are perfect for your kitchen area, or any other room, and the matching metal trim completes the look. This 5 light fitting looks beautiful on any ceiling, with simplicity and style inspired by the era of the classic American diner. The clear ribbed glass diffuser provides clean lighting effects, which are perfect for your kitchen area or any other room. The matching metal trim finished in antique brass completes the look. This American Diner satin silver pendant light looks beautiful on any ceiling, with simplicity and style inspired by the era of the classic American Diner. The acid ribbed glass diffuser provides clean lighting effects, which are perfect for your dining area, or any other room. The matching metal trim finished in satin silver completes the look. 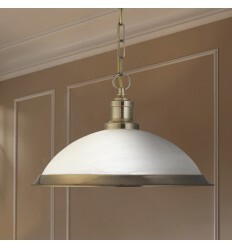 This antique brass pendant light looks beautiful on any ceiling, with simplicity and style inspired by the era of the classic American Diner. The clear ribbed glass diffuser provides clean lighting effects, which are perfect for your dining area, or any other room, and the matching metal trim finished in antique brass completes the look. 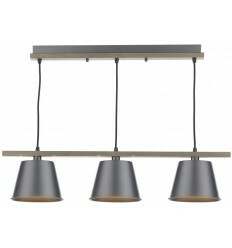 The ARKEN 3lt Pendant features a wooden backplate and frame, braided cable and grey shades. 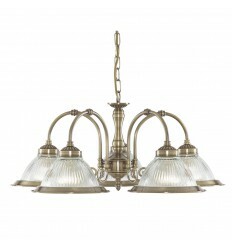 This vintage design will compliment both classical and contemporary interiors. 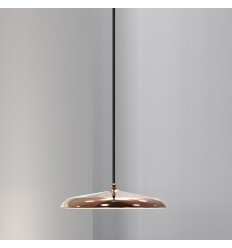 The Artist 25 is a contemporary design ceiling pendant with a large disc shaped shade. 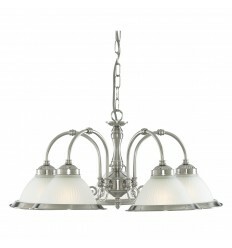 It is ideal for lighting over kitchen islands or dining room tables. 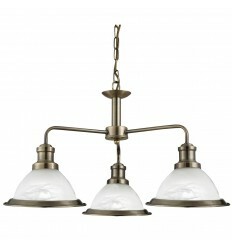 For an added effect you could use multiple pendants and alternate heights to create an impact. 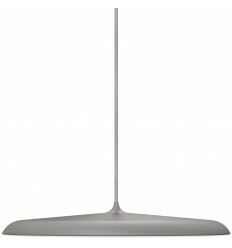 The Artist 40cm pendant is a contemporary design in a choice of finishes with a large disc shaped shade. 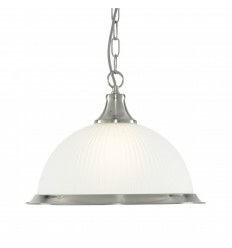 With its retro, diner-style design, this Balor metal pendant shade is well suited to a kitchen or dining room setting. The Bell Cage pendant light has a steel-caged design that is inspired by industry and looks wonderful in any contemporary living space. 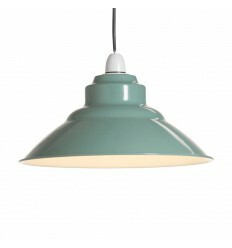 This Bistro pendant light with its glass shade has a simplistic look that will add a retro feel to any dining room or kitchen. 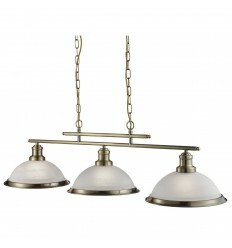 This Bistro 2 light ceiling bar pendant with glass shades has a simplistic look that will add a retro feel to any dining room or kitchen. This Bistro 3 light ceiling bar pendant with glass shades has a simplistic look that will add a retro feel to any dining room or kitchen. 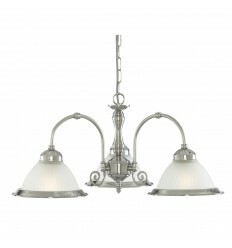 This Bistro 3 light ceiling fitting with glass shades has a simplistic look that will add a retro feel to any dining room or kitchen. 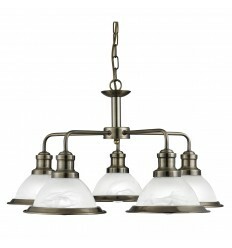 This Bistro 5 light ceiling fitting with glass shades has a simplistic look that will add a retro feel to any dining room or kitchen. 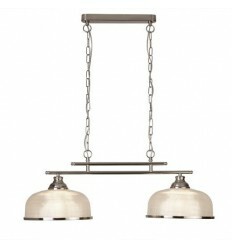 Suspending from a solid and sturdy ceiling bar, the chunky chain reaches 2 bars before reaching the lights. 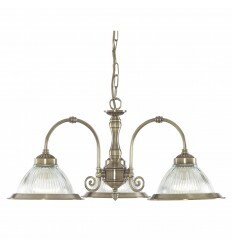 From the bistro collection, this 2 light item exudes sophistication and is perfect for a classic home setting. 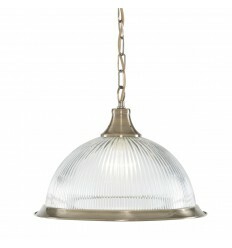 The ribbed halophane glass is complimented by a metal brass trim. Ideal over a kitchen island or dining table.